Money makes the world go around, or so the song goes. And while for many, cash will always be king, it is being quickly usurped in the world of ecommerce by a new pretender to the throne – customer service. In an increasingly affluent developed world, dominated by cash rich and time poor consumers, the race is on to be the first out of the fulfilment blocks. From weeks to days and now hours, customers are no longer willing to wait when it comes to getting their hands on their purchases. Setting the pace as ever is Amazon and such is the pace that the online giant is now running out of warehouse space to cope with the size of its UK business. In order to keep up it is relying more and more on smaller, third party logistic (3PL) suppliers to outsource some distribution and fulfilment services. When it comes to choosing its 3PL partners, the overriding concern for Amazon is that they can meet its next day, and often sooner, fulfilment requirements. And this is where many are struggling to keep up. 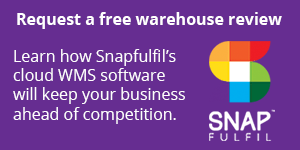 At Snapfulfil we’re increasingly seeing smaller 3PL operators who have landed new business and their warehouse management systems (WMSs) are simply too slow or clunky to meet the expectations of modern day fulfilment. Amazon has invested heavily in new technology to improve efficiency but its success is underpinned by ensuring pinpoint precision in warehouse processes. For most 3PLs, costly investment in new systems is neither practical nor necessary in order to emulate this. Giving humans the tools to work more efficiently is a far more cost effective solution. When an order comes in, an effective WMS should automatically know what product needs to be shipped, where to ship it, and how to update inventory levels. Single item orders are commonplace in ecommerce but positioning the products correctly and ensuring pickers follow the best sequences and routes can be problematic for warehouse managers. A WMS can help by providing insight in to existing processes and how best to drive efficient operations, such as channelling employees along optimal pick paths. A sophisticated WMS can quickly assign pickers to an order, give them precise commands on where and how to retrieve the goods, and keep tabs on inventory. Simply integrating inventory information into the picking process eliminates a substantial amount of mistakes and confusion that could otherwise derail a warehouse operation. Regardless of the size of the warehouse, there can never be any guesswork on where an item is located or where it should go. A cloud-based WMS can give this level of power, as well as a great deal of flexibility, to 3PLs at an affordable price. Amazon may have massive warehouses but, when it comes to fast and accurate fulfilment, size doesn’t matter. 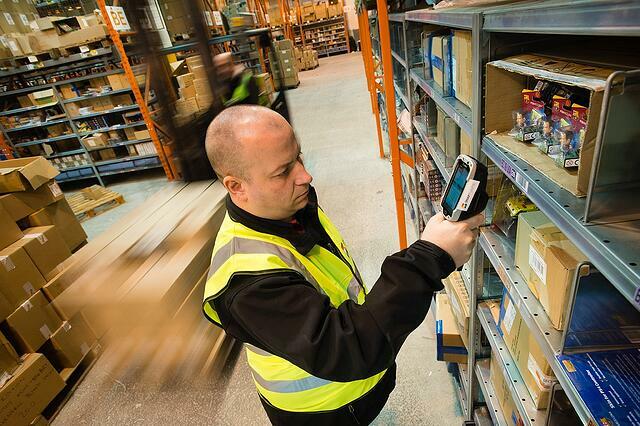 Smaller operations can achieve exactly the same results with a barcode scanner and a best-of-breed WMS.